If you’re not already familiar with the Danish word ‘hygge’ (pronounced ‘hooga’), it roughly translates to ‘coziness’. Hygge is more than just coziness, though. It is a feeling, an atmosphere, and a psychological state of balance. As someone who grew up enduring Canadian winters, with my lovely, late Danish grandmother, hygge resonates with me at a deep level. My Grandpa and Nanny (Grandma) together at the cabin in 2005. 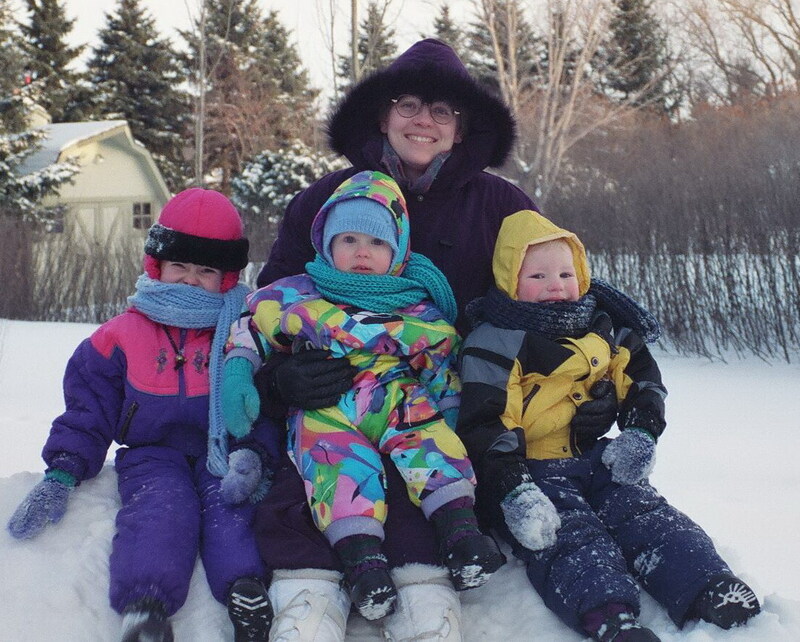 With my mom and brothers making the best of Manitoba winter. We always kept extra warm with scarves, mittens, toques, socks, sweaters, and blankets knit by Nanny. The road to my family's cabin. Many special times spent there with Nanny and Grandpa, and in the winter it's the most hygge place I know! Litlle Marie wearing a cozy sweater and mittens handmade by Nanny. To me, hygge is important because feeling cozy is one way to embrace the cold, dark winter. If I wear sweaters and thick socks, light candles, and cuddle up on the couch with a quilt and my pup and a warm mug of tea, suddenly I can manage to appreciate the cold and snow outside my window. It makes me feel grateful for the warmth and coziness rather than spiteful about the cold climate. I can get through frigid winter walks with my pup because I know there is a little hygge apartment awaiting my return. My pup keeping hygge with a flannel quilt I made for my husband. Enjoying a moment of restful peace and quiet after my morning devotions. Tea, dog cuddles, flannel, and you better believe there was a candle burning! The epitome of hygge. For me, one of the most important contributors to creating hygge is lighting candles. Candles can be a powerful source of comfort. I find lighting candles and playing soft music makes my apartment feel warm, cozy, and calm. Candles are a literal source of light in the darkness of winter nights. My little pup and I spend a lot of evenings home alone, and as soon as the sun starts to go down, I light the candles. We have tealights in special winter candleholders, and two of our own The Evergreen Collective candles burning every evening. Our scents are not overpowering, but soothing; the perfect hygge balance. 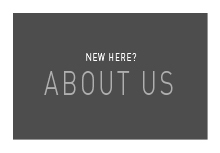 We focus on natural fragrances, and are particular about creating both fresh and cozy scents. 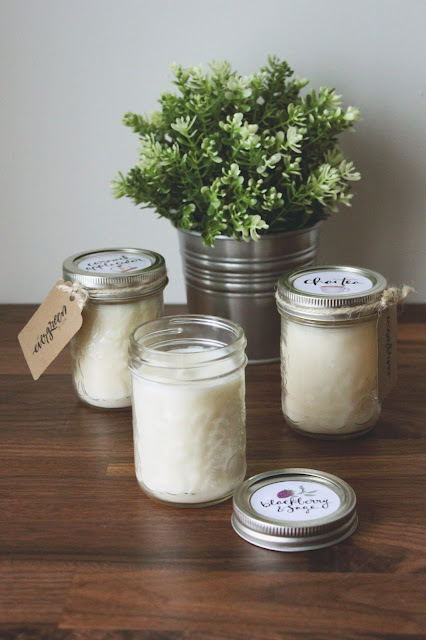 As we mentioned in our previous post about candles they are made with 100% soy wax, which is non-toxic and clean-burning, unlike petroleum derived paraffin wax candles. Plus, they last longer because of their slower burning time and cooler burning temperature. The slower, cooler burn allows soy candles to hold and release scent better than other candle types, creating a more pleasant atmosphere- which is what hygge is all about! If you’d like to join us in embracing winter, experiencing hygge, and burning The Evergreen Collective candles, we sell them at craft shows (follow us on Facebook and Instagram for updates), in limited varieties on Etsy, and locally through email (theevergreencollective@gmail.com). Feel free to message us to place an order and we’d love to arrange free pickup/delivery if you’re in the Stouffville region! Have you been embracing hygge this winter? What are your favourite ways to do so? Leave a comment below to share your experience and any tips you may have! This is so lovely, Marie. I felt hygge just reading it. I love your reflections and the pictures add so nicely to the beautiful message. I have my candles lit. I love my Evergreen candles so I look forward to your Spring scents and to Spring, in general! Thanks for sharing!